As part of this initiative, we organized bhUthaththAzhwAr thirunakshathram celebrations on November 8th. 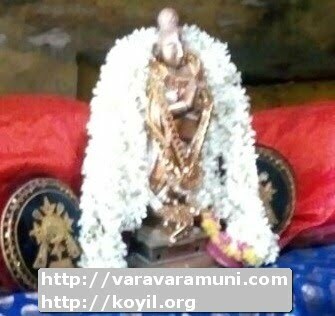 In the morning thiruppallANdu, thiruppAvai, iraNdAm thiruvanthAdhi were recited followed by sARRumuRai. thIrtham, prasAdham were distributed to all the assembled persons.